The family and neighbours of a fish farm worker, Ibrahim Sulyman, are in confusion about his whereabouts after he left home for work and did not return. The 24-year-old had been missing since April 10, 2018, when he reprotedly left his residence on Shodipo Avenue, LASPOTECH Second Gate, Ikorodu. He was said to have told his flatmate and neighbours that he was heading for his workplace located in the neighborhood, but did not return home. Sulyman’s elder sister, Mrs. Adejoke Maku, told Punch that his boss had sent him to deposit N80,000 in a bank the previous day. She said, “He works in a fish farm in the neighbourhood. 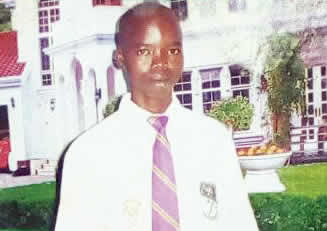 His boss gave him N80,000 on Monday, April 9, and asked him to deposit the money in a bank. The boss later called him on Tuesday morning that he should not bother to deposit it again. The boss, who identified himself only as Olamilekan, said Sulyman had notified one of his colleagues in the office that day that he was on his way to the office. “But we have not seen him since then. I even called him around 6.30am that day not to take the money to the bank again. I told him to come to the office with the money. He, however, informed his friend at home that he was going to the bank even after I told him to come to the office,” he added. However, Sulyman’s landlord, who gave his name only as Kehinde, said the victim told neighbours that he was going to work. The Lagos State Police Public Relations Officer, SP Chike Oti, said the command had radioed police formations in the state to be on the lookout for Sulyman.